Raw’s newest Superstar Cedric Alexander has received some encouragement from his main roster colleagues … including “The Big Dog” himself! 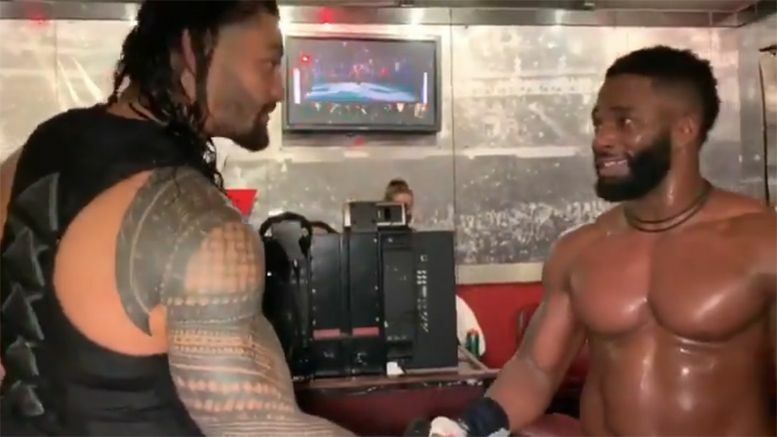 In the aftermath of his final match on 205 Live — which he lost to Oney Lorcan — Cedric was embraced on the other side of the curtain by SmackDown Live’s newest acquisition Roman Reigns. “Congrats,” Roman told the former Cruiserweight Champion. Cedric was then on the receiving end of a big hug from his fellow Cruiserweight Mustafa Ali, who was also called up to the main roster from 205 Live this year.